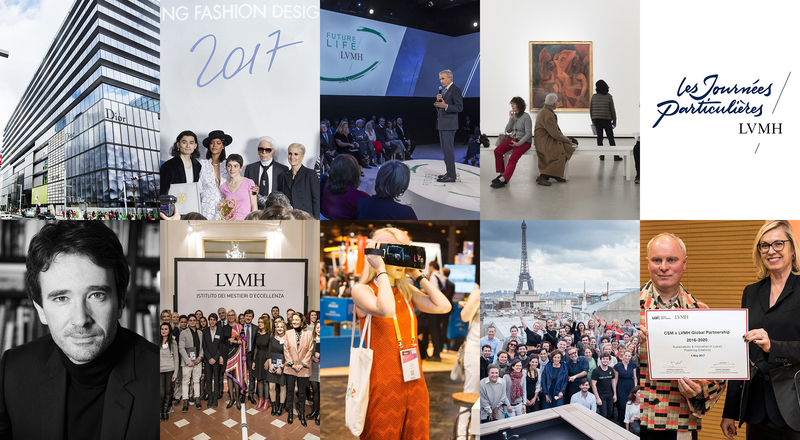 The LVMH Group rolled out multiple initiatives throughout 2017 centered on innovation, the environment and developing young talents. 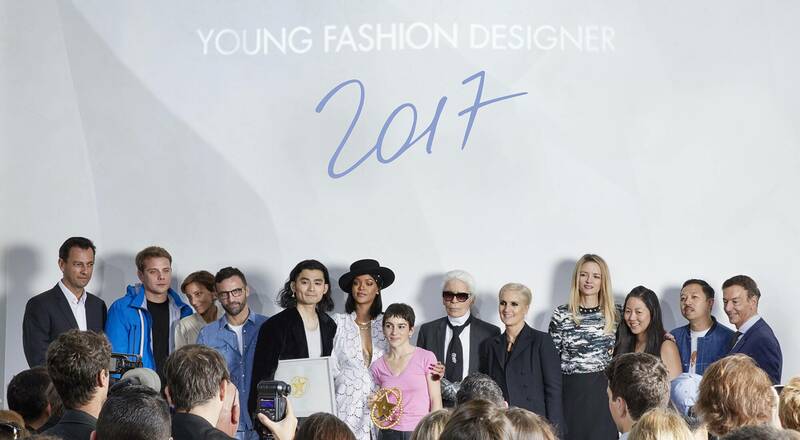 Highlights included a charter to ensure the well-being of fashion models, the Viva Technology show, the first LVMH Innovation Award, the blockbuster Shchukin exhibition and the opening of the MoMA exhibition at the Fondation Louis Vuitton, and the fourth edition of the LVMH Young Fashion Designer Prize. Discover the best of 2017 at LVMH! “Icons of Modern Art. The Shchukin Collection” proved a blockbuster exhibition at the Fondation Louis Vuitton from October 22, 2016 to March 5, 2017, drawing over a million visitors, setting the record for the biggest attendance ever for an art exhibition in France. 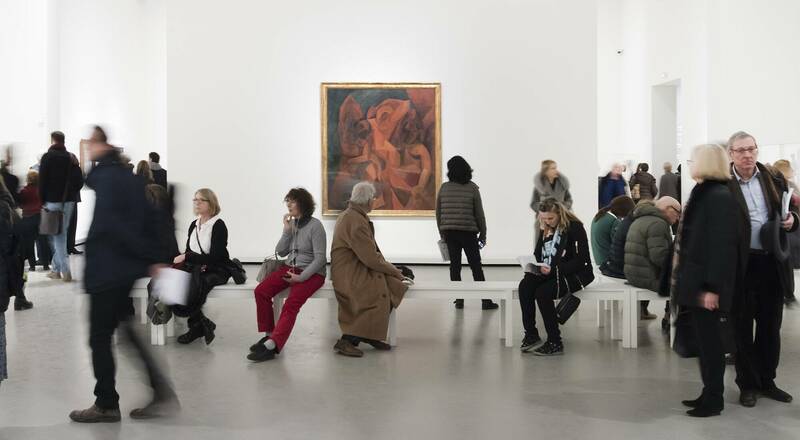 In October the Fondation Louis Vuitton welcomed collections from MoMA. Featuring masterpieces from Paul Cézanne to Andy Warhol and Gustav Klimt to Constantin Brancusi, the exhibition spans over 200 works, some of which have never before been shown in France. The exhibition gives visitors a chance to discover how the celebrated Museum of Modern Art in New York built its collection. 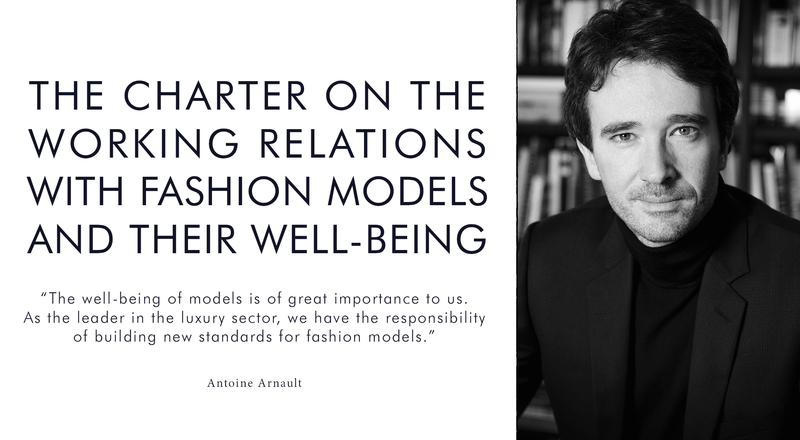 Now in place at all LVMH and Kering fashion houses worldwide, the Charter on Working Relations and Well-Being of Fashion Models formalizes important commitments to promote the highest standards of integrity, responsibility and respect for fashion models. LVMH celebrated the 25th anniversary of its Environment Department with a special evening attended by the CEOs of Maisons and environmental affairs specialists from across the Group. Reaffirming its commitment, LVMH also introduced the LIFE 2020 program, designed to further enhance the environmental performance of the LVMH Group and each of its Maisons. In addition, the Group announced that it would double the size of its internal carbon fund, which was launched in 2015 in conjunction with the COP21 conference in Paris. LVMH announced a groundbreaking partnership with Central Saint Martins designed to promote creativity and identify cutting-edge solutions. 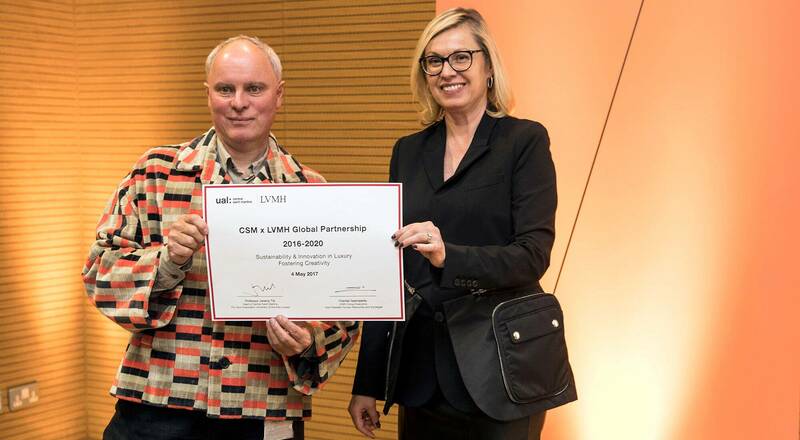 Under the banner LVMH & Central Saint Martins “Sustainability & Innovation in Luxury | Fostering Creativity”, the program will nurture disruptive solutions to drive sustainability and innovation in the luxury industry. The second edition of Viva Technology – a marquee event for game changers in the digital transformation – was a great success for the Atelier LVMH and participating Maisons, who welcomed thousands of visitors. A hub of compelling exchanges and networking, and a dynamic laboratory for new ideas, the Atelier LVMH hosted round tables and pitches by 32 finalist startups competing for the LVMH Innovation Award, which was won by French startup Heuritech. Located in the heart of Tokyo’s famed Ginza luxury shopping district, Ginza 6 was inaugurated on April 17 at a ceremony attended by Japanese Prime Minister Shinzo Abe, Tokyo Governor Yuriko Koike and Bernard Arnault, Chairman and Chief Executive Officer of LVMH. 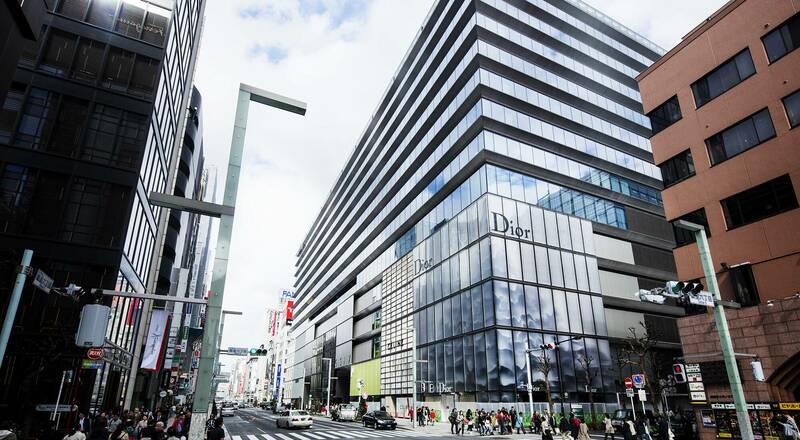 Ginza 6 is largest mall of its kind in Japan, welcoming 241 stores, including those of 10 LVMH Maisons: Dior, Céline, Fendi, Kenzo, Loewe, Parfums Christian Dior, Guerlain, Make Up For Ever, Fred and Moynat. For its fourth edition, the LVMH Prize for Young Fashion Designers was presented by Rihanna. The grand prize went to Marine Serre for her creative combination of urban and sportswear with oriental inspirations. Kozaburo Akasaka won a special jury prize for his subtly deconstructed menswear creations. An initiative created by the LVMH Group, DARE (for Disrupt, Act, Risk to be an Entrepreneur) is a program that fuses open innovation and professional development for managers at the Group and its Maisons. For three days, 60 participants from 40 Maisons and 15 countries tested new ways of working and transformed future-facing ideas into tangible business plans. The Group organized a second DARE session in October at the Jardin d’Acclimatation centered on the environment and sustainability. With the signature of a partnership with the Polimoda fashion and design school, the LVMH Institut des Métiers d’Excellence has expanded into Italy. On November 27 the LVMH IME officially inaugurated its Italian program to train tomorrow’s highly skilled artisans and retail specialists at Palazzo Pucci, the historic headquarters of Maison Emilio Pucci. Another previously launched course in jewelry craftsmanship with For.Al will be joined by additional training tracks. Following the success of the 2016 edition, which welcomed 145,000 visitors, the Journées Particulières LVMH will return in 2018 from October 12-14. Created thanks to impetus from Antoine Arnault, Chief Executive Officer of Berluti and a member of the LVMH Board of Directors, these open days offer the public an opportunity to go behind the scenes at LVMH Maisons and discover the exceptional savoir-faire of the Group’s artisans. 2018 definitely promises to be another exceptional year for the LVMH Group!